I, like many of my demographic, really enjoy playing “Grand Theft Auto: San Andreas,” the latest installment of the wildly popular video game series. Oddly enough, what I enjoy most about the game, which casts you as a young gang member that rises to infamy in a barely veiled copy of Los Angeles circa the early ’90s, is how it really takes me back in time. In my case, hearing classics from N.W.A., The DOC, Dr. Dre, Ice Cube, and Snoop Dogg — blaring from the radio of my nefarious lowrider as I sprayed drug-dealing competitors and innocents with a submachine gun — was like rediscovering a collection of cassettes I had from junior high. “Let’s have a gangsta party,” Game raps, between sledgehammer-like beats and string-section twirls on “Higher.” His record aspires for little else. Assisting the Game with his mission is an impressive list of patrons. The album’s co-executive producers are Dr. Dre, hip-hop’s resident kingmaker, and 50 Cent, rap’s second-biggest star. “The Documentary” also features a stellar lineup of supporting players, including Eminem, Kanye West and Timbaland. And it’s the contributors that truly define this record. Game is omnipresent, but the star producers create the multi-layered, bass-heavy musical compositions that the rapper’s one-dimensional rhymes exist on. With its drum-machine beat, “Westside Story” sounds like a sequel to 50 Cent’s Dre-produced smash, “In Da Club.” (In fact, 50 makes a guest vocal appearance on the track.) Following the approach that he employed on his comeback record “2001,” Dre has added some brief, creepy piano dirges and staccato string plucking to pair with the cold, computerized beat. Other highlights on “The Documentary” bare the clear stamps of their creators, such as the highly listenable, sample-heavy “Dreams” (Kanye West) and the futuristic funk of “Put You On The Game” (Timbaland). And while Game had a larger hand in the creation of album standout “No More Fun And Games,” it’s the track’s wild, ’70s Stevie Wonder groove that will make it part of your next mix CD. Likewise, on “Hate It Or Love It,” Game proclaims himself as “rap’s MVP,” but his thoroughly outshined by another guest appearance by 50 for the song’s chorus. Credit goes to 50 again in his capacity as producer by employing Marvin Gaye’s conga drum intro to “What’s Going On” to create a subtle yet infectious rhythm. At its best moments, the music — often a trim version of the ’70s funk that was a favorite reservoir for gangsta rap’s samples — is so energetic that they thoroughly compensate for Game’s weak points as a rapper. Chief among them are Game’s mic skills, which leave something to be desired. His rapping and vocal delivery are solid, but his voice lacks distinctiveness that would make his lyrics more interesting. Worse still, his rhyming ability sorely lacks originality. 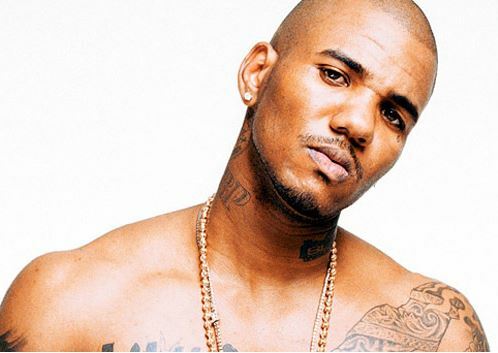 From the outset, Game asserts that he wants to reclaim the hip-hop throne for the West Coast. (Of course, one could argue that Eminem and 50 Cent — who are from Detroit and New York respectively — are West Coast rappers in all but name. Both of their careers were catapulted by Dre’s beatmaking and their take-no-prisoners lyrical stance owes a lot to the path blazed by N.W.A., Ice Cube and Snoop.) The fact that Game hails from Compton, Calif., — gangsta rap’s mecca — serves to reinforce his claims to be the genre’s heir apparent. But to achieve this, Gane trudges through worn-out tales of street life that the old-school giants ran through. All the cliched themes are covered: smoking blunts, driving in lowriders, dissing rivals, a dash of homophobia and sexism, and plenty of shoutouts to the likes of Tupac, Eazy-E and Interscope Records head Jimmy Iovine. Ice-T, who was arguably the founder of gangsta rap, astutely drew the parallel between gangsta rap’s glorification of gang life, gunplay, pimping, and drugs and metalheads’ love of black clothing, skulls and Satanism. He observed that it’s not so much the reality that they are latching on to, but the image of pushing social boundaries and embracing taboos. In this case, N.W.A. and the others were perceived as originators and authenticate spokespeople for the gang lifestyle — whether their shocking lyrics are based on truth or not — because they were there first. Game, on the other hand, has wrapped himself in the gangsta rap subculture when it’s already a known moneymaker. And it seems at this stage, his contributions merely rehash his mentors’ examples and shares little beyond his own unremarkable perspective. The problems that will keep “The Documentary” from rivaling “The Chronic” or “AmeriKKKa’s Most Wanted” seem to matter little to the public. Assisted by the Dre/50 connection, his record is currently no. 2 on the charts after debuting at no. 1 and selling more than 500,000 copies. And although several of the cuts on the record deserve the radio/video play that they’ve received so far, hip-hop’s hype machine seems to be firmly behind Game. Nearly every story mentions his drug-dealing days or the fact that like his mentor 50 Cent, he survived multiple gunshot wounds. He’s even compiled an impressive list of headlines on MTV.com for some ho-hum verbal scuffles that he’s had of late with Jay-Z and other big names. Ultimately, it’s whether the tracks satiate the listeners and if Dre’s track record is any indication, Game is likely be a fixture for the foreseeable future. This could give him the time to grow into the dominant artist that he claims to be. Tags: "The Documentary", 50 Cent, Dr. Dre, review, The Game. Bookmark the permalink.